MIND, Milano Innovation District, is located in the area that hosted Expo 2015, and which is now being transformed in an excellent scientific and technologic district. MIND will become a new district that will include the new IRCCS Galeazzi Hospital, University of Milan’s new scientific faculties campus, and Human Technopole, an international research institute for the leaders in Life Sciences, Healthcare, Biotech, Pharma, Agrifood, Nutrition and Data Science. 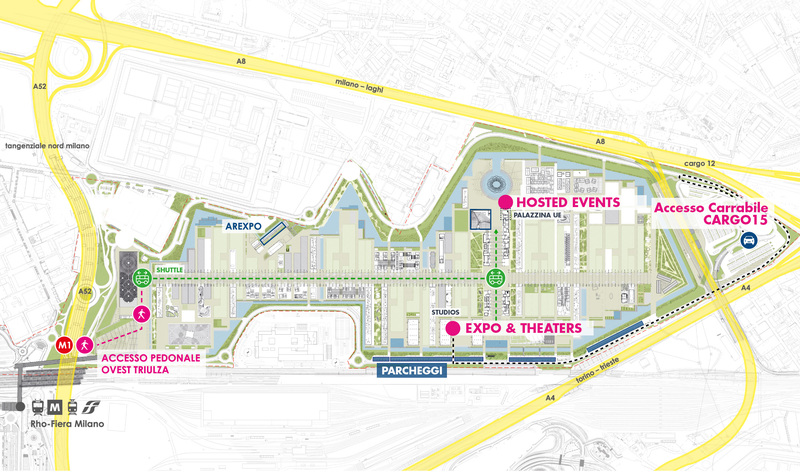 This special location allows sponsors and exhibitors to set up exclusive live experiences both outdoor and indoor, using this area as a “Smart City” and “Living Lab”. BY UNDERGROUND the closest stop is Rho Fieramilano of the line 1 (red line). From Rho Fiera Milano, continue to “Exit – Via Risorgimento” direction, then the Ovest-Triulza exit. A free shuttle will be available to get to the event entrance.